Gardens figure prominently in the works and life of Jane Austen. The lovely book In the Garden with Jane Austen by Kim Wilson looks at all aspects of gardening as it relates to the writer and her characters. This little gem of a book looks at how gardens that Jane knew and loved look today. The gardens are even divided up into Cottage Gardens, Mansion & Manor House Gardens, City Gardens and Public Gardens & Parks. The final chapter contains advice on how would-be gardeners can re-create Jane's gardens (including flower and vegetable varieties) for themselves! 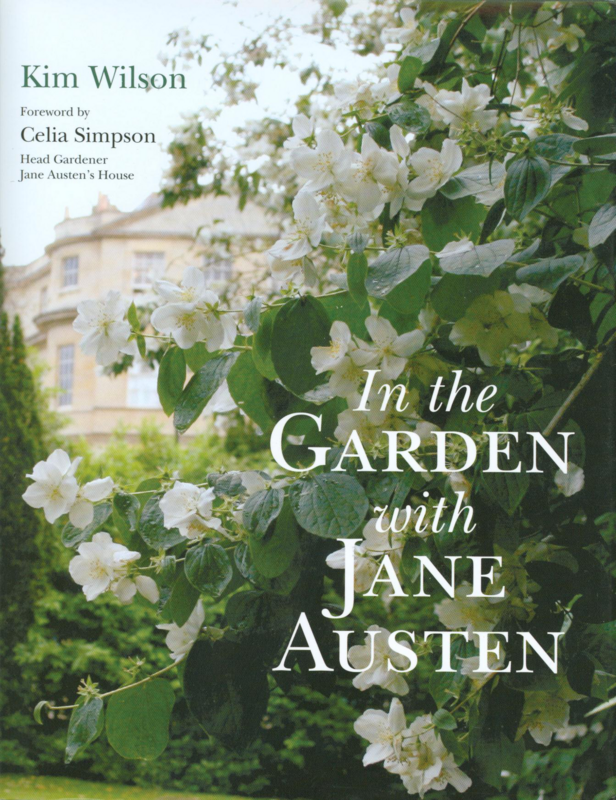 The book also features a listing of gardens that were shown in screen adaptations of Austen's works. It's rather interesting how frequently films and TV programs are made from her novels. The book is filled with beautiful illustrations, as well as information about visiting the locations that are open for tours. There are also plenty of quotes from Jane Austen's works as well as from her personal correspondence. I especially enjoyed the aspects of gardens which might not be considered by modern readers. For instance, one inescapable feature of every garden was the outhouse. The book gives some interesting details about how people tried to disguise them (plants in front and vines to obscure) and how the paths to the outhouses were suggested to be circular, so "it would not be obvious to the casual observer what the stroller's purpose was in choosing that particular path." You have to wonder if modern gardeners know how easy they have it! Another interesting feature of the book is recipes from the period when Austen lived, including how to make Bee's Wax Lip Salve, Pot Pourri and "Mrs. Norris's Dried Roses." Well, Martha Stewart had to get her ideas from somewhere! This book is gorgeous and packed with information. Fans of Jane Austen, gardening or flowers will be enchanted!